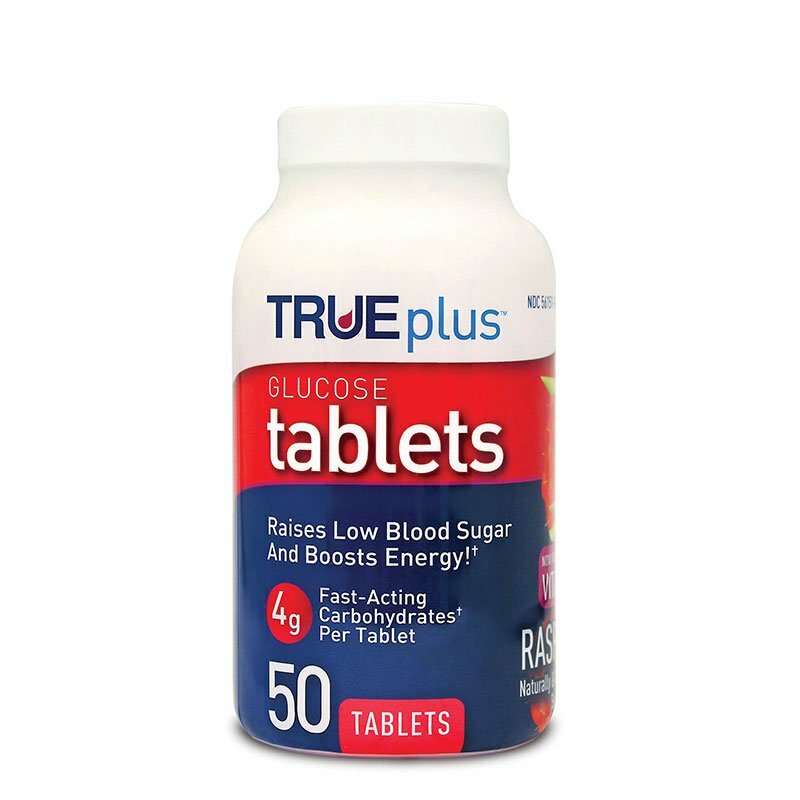 Each TRUEplus Glucose tablet Raspberry (Case of 6) has 4 grams of glucose; lets patients take exactly what is needed to help raise blood glucose levels and boost energy! Each TRUEplus™ Glucose tablet (Raspberry) has 4 grams of glucose; lets patients take exactly what is needed to help raise blood glucose levels. * Percent Daily Values are based on a 2,000 calorie diet. Your diet values may be higher or lower depending on your calorie needs. Great for low blood sugar control. Also unlike others I've tried, flavor is quite attractive. Processing and shipping also done in only 2-3 days.